I attended the Irish Beauty Show at the start of the month with buying new brushes in mind. 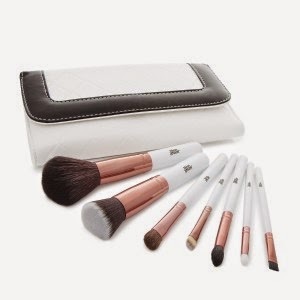 I have my Sigma, Blank Canvas and real real techniques brushes for doing makeup on clients which I love. But I wanted some new ones for doing my own makeup. I had intended on buying more blank canvas but I came across the Nima Brush stand and fell in love. The design and packaging is so beautiful As I'm not too adventurous with my own makeup I was just after the basics. I went for the starter kit as it contained everything I needed for my everyday makeup. I've been using these everyday since I bought them and I have to say I absolutely love them the bristles are so soft and they cover everything I need for a basic daytime look. I also used them to do a more detailed night time look at the weekend and they were great. 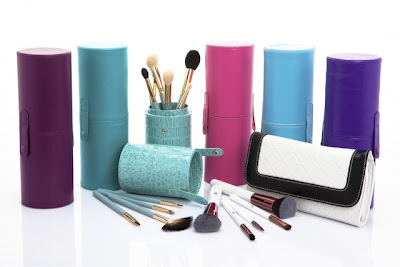 The quilted case is perfect for keeping them together and clean in your makeup bag and would be perfect for travelling. 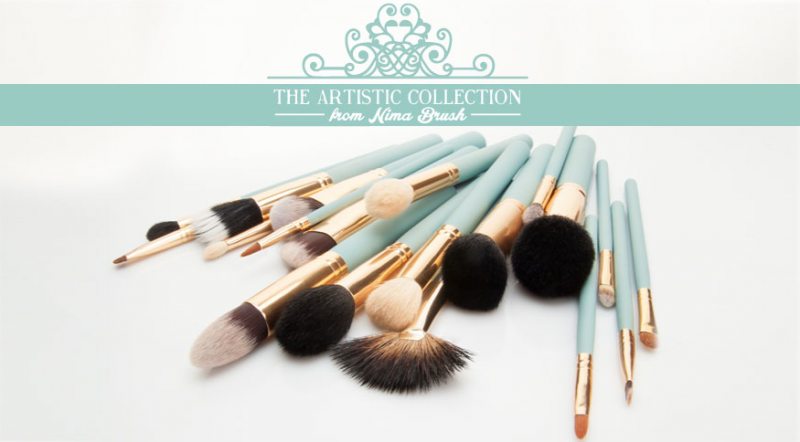 The brushes I choose are part of the Elite Collection, there is also an Artistic Collection that come with stunning matte duck egg handles that I'm obsessing over at the minute. I'm definitely paying a little visit to their site to pick up a few more bits. At the top of my wishlist is the Nima tube in duck egg for my professional brushes. 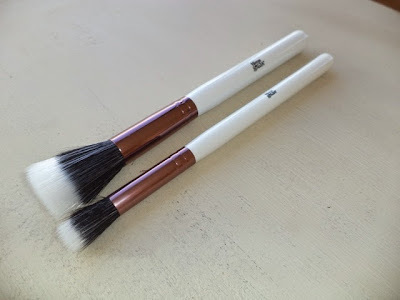 Also the two piece duo fibre brushes.